Have a passion for reading? Jefferson County Public Schools wants to hear from you! Jefferson County Public Schools (JCPS) Superintendent Dr. Marty Pollio today encouraged community members, agencies, corporations and faith-based organizations to help build students’ reading skills by volunteering with Every 1 Reads, a communitywide initiative designed to help students become proficient in literacy. The program matches volunteers with students in schools and at Out-of-School Time (OST) Learning Place sites, which provide academic and recreational opportunities for students before and after school and throughout the summer. Every 1 Reads builds partnerships with schools, families, and community members to enrich students’ educational experiences and support their success. Volunteers work one-on-one with students for 30 minutes each week to help them become “reading detectives.” For more information on volunteering, click here. Dr. Pollio said the district has a goal of supporting 1,500 students through Every 1 Reads during the school year. Volunteers can choose which school they’d like to work with, or JCPS will assist them in selecting a convenient location. 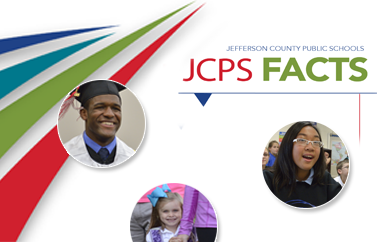 For more information on the program, contact the JCPS Every 1 Reads office at (502) 485-8185.